To demonstrate sensitivity or be the sexiest place in small doses or large-scale, shirts and tops or skirts, transparencies are more fashionable than ever. And while we are facing a trend difficult to carry, knowing our style and choose according to our ways, we can make our best friends transparencies for this season (although we are freezing cold). 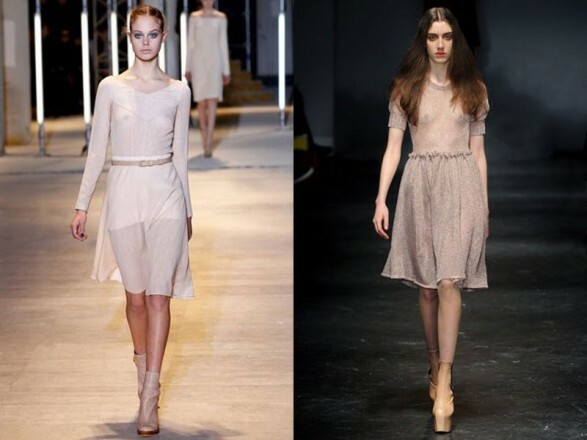 On the runways of Fall-Winter 2011/2012 we saw a transparent garment. Fashion boasts of little practical sense and it seems most in transparent clothes is to mix point, very chic but not very useful. In the picture below you can see transparency in the parade Cacharel all very naive. The choice trendy is a semi-transparent skirt, a winning choice with boots and jersey knit. Want even more film? Add a parka to your outfit. The look is Asos. The most exquisite and wealthy can be done with the dress is all the rage among all celebrities: Spotted and as the main picture, sign Stella McCartney. Of course, we warned that costs over 2,000 euros, almost nothing!